Freewheel, Cablevision’s Wi-Fi only mobile service, jumped from rumor to fact on Thursday after the company officially announced the service. As expected, Freewheel will set you back $30 a month if you’re a non-Cablevision Internet subscriber, and $10 every month if you’re a Cablevision Optimum Online customer. Both plans are contract-free. Freewheel is available nationwide, but Cablevision offers far more support for the service in the New York tri-state area (New York, New Jersey, and Connecticut). 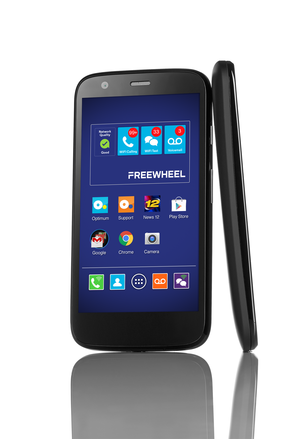 Even though it’s Wi-Fi based, Freewheel still comes with a regular phone number to send and receive calls and texts. If you live in the New York City metropolitan area you can even port your current number over to Freewheel. Freewheel loads the Moto G with special apps and functionality to take advantage of Wi-Fi networks. At launch, Freewheel only works with a special version of the first-generation Motorola Moto G that includes Freewheel calling, texting, and voice mail apps. The phone will also automatically connect to any of Cablevision’s 1.1 million public Optimum Wi-Fi hotspots in the New York tri-state area to ensure you have a connection as often as possible. If you already own a Moto G, Cablevision says you can’t bring it over to Freewheel. Instead, you’ll have to fork over $100 for a Freewheel-friendly Moto G. The good news is that’s a very cheap price for this phone, which is usually $180-$200 on Amazon. The impact on you at home: Freewheel is pretty cheap, but it can really only work for people who live in (and stay in) Wi-Fi saturated environments. Once you’re out of range of a Wi-Fi connection the phone becomes useless. The reality is, if you’re not a Cablevision subscriber, forking over $30 per month for Freewheel just isn’t worth it. There are many mobile virtual network operators that would better suit you for the same or cheaper cost that offer Wi-Fi centric phones and include cell connections as a back-up. Check out our recent list of 10 alternative carriers worth checking out to learn more. While Freewheel’s Moto G is a special version, the device still has a functional SIM slot. That means thrifty Cablevision Internet subscriber could save some dough without giving up on traditional cell service by using a combination of Freewheel and a pay-as-you-go SIM—although it would get a little confusing. 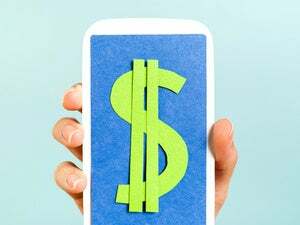 You could, for example, pay $10 a month for Freewheel and back it up with Ting’s forthcoming SIM-based service or another MVNO that offers pay-what-you-use pricing. Whenever you’re out of range of Wi-Fi you’ll still be able to make phone calls and send texts, and you only pay for the network time you use. The downside, however, is that you now have two different phone numbers on the same device: the Freewheel Wi-Fi number and the number that came with your MVNO SIM. We’re checking with Cablevision, but at first glance there doesn’t seem to be a way to join the two numbers. Perhaps Google Voice would work as a unifier, but we can’t say for sure before testing it out. Nevertheless, if you’re already a Cablevision subscriber looking to save some money on your cell bill, Freewheel could work—especially backed up by a SIM. Non-Cablevision customers, however, should really look elsewhere to find better deals at or around the same price that include wireless network access.